Visiting this unique lighting installation is high on my wish list. 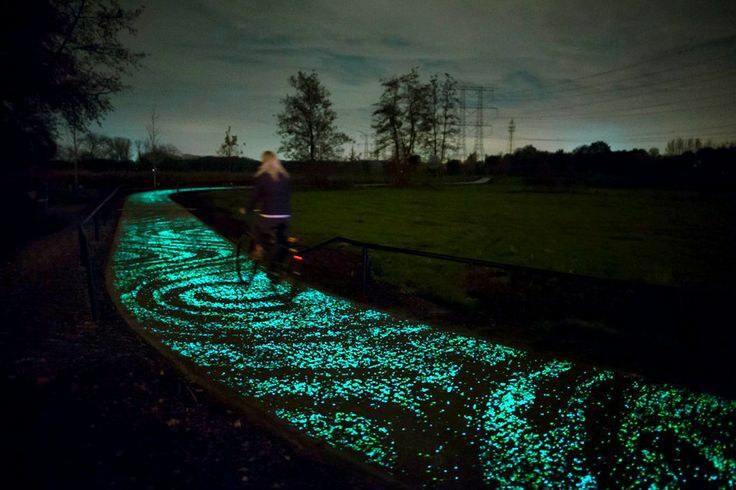 It must be so magical to ride your bike along the illuminated path inspired by the Starry Night painting by Van Gogh. 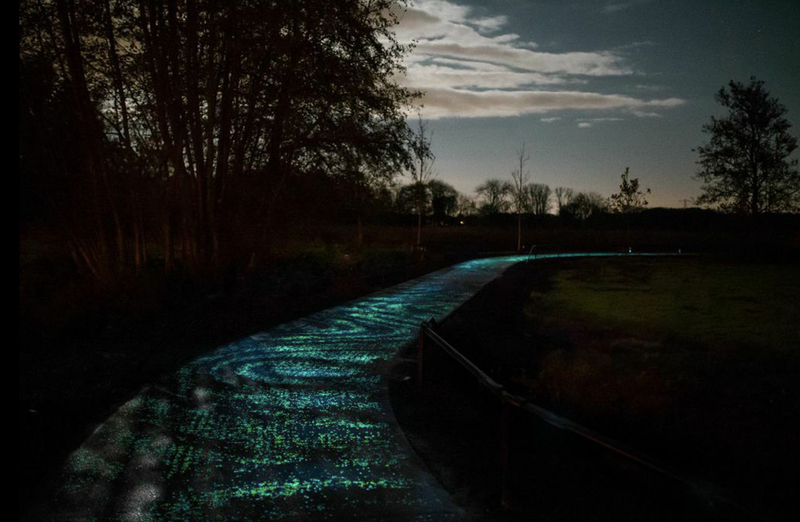 The Van Gogh-Roosegaarde cycle path opened in Eindhoven, the Netherlands, on November 12, 2014. The opening of this marks the start of the international Van Gogh theme year 2015. Daan Roosegaarde and Heijmans developed special innovative technology with which the path is illuminated by thousands of twinkling stones creating a play on light and poetry. Roosegaarde: ‘I wanted to create a place that people will experience in a special way, the technical combined with experience, that’s what techno-poetry means to me’. Artist Dan Roosegaarde is internationally known for creating social designs that explore the relation between people, technology and space. His Studio Roosegaarde is the social design lab with his team of designers and engineers based in the Netherlands and Shanghai. Roosegaarde is in the top 5 of Sustainable Trouw 100 as most influential Dutch green leader and selected as Talent of the Year 2015 by Kunstweek. Kelvin, CRI, CCT, CBCP , efficacy , lumens - Help! - I just want a light fixture, not a science degree! Custom-made jellyfish chandeliers and octopus stools, glowing columns of kelp ... I'm in awe!